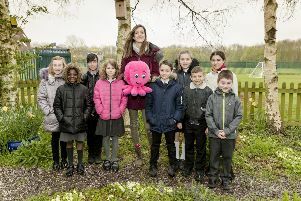 Volunteers and school children are being urged to get involved in a new project aiming to conserve native reptiles and amphibians along the River Nene, which runs through Peterborough. Wildlife conservation charity Froglife’s Dragon Finder project will involve local communities and groups in a range of activities such as species identification and surveying, pond restoration and creation, wildlife workshops and trail fun days. The project has been made possible with the help of a £472,400 grant from the Heritage Lottery Fund. The scheme is being launched at 11.30am today (Friday February 20) at Peterborough Town Hall and will include guest speakers Richard Kerridge, author of Cold Blood, and ecologist and writer Hugh Warwick. Phil Rothwell, Heritage Lottery Fund committee member, said: “This is a fun project dealing with a serious subject, namely the decline of reptile and amphibian numbers. Among the planned activities are community art workshops, know as Mapestry, where participants will have the chance to contribute to a giant textile tapestry about the River Nene and its wildlife, and educational wildlife boat tours on the waterway. Kathy Wormald, chief executive of Froglife, said: “We want to share with people the many varied activities that they can get involved with in the River Nene Dragon Finder project.